Polyurethane is unknowingly ubiquitous in our day-to- day life. Right from the start of the day to at the end of the day, we encounter polyurethane in almost every application. Due to high thermal insulation ( high R values) , good adhesion, barrier to moisture and air, polyurethane foam is used as insulation in various applications like buildings, refrigerators, cold storage, hot boxes, geysers etc. 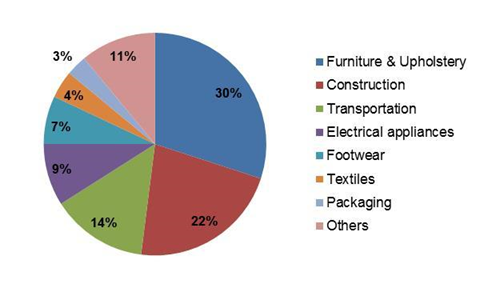 Majority of the flexible foam is used in sleeping products like mattresses, pillows followed by furniture and automotive. Good flexibility, high resiliency and light weight are some of the important attributes of PU used in these applications. There are two main categories of flexible foams- slabstock and molded foams. The latter finds applications in packaging, automotive seats etc. This category consists of coatings, adhesives, sealants and elastomers. As compared to foams, CASE has lower market share. However the number of product variants and versatility of applications are making this share slowing improving in the recent years. Water based polyurethane coatings are preferred due to their environment friendly properties. Cast polyurethane elastomer finds applications in food and industrial segments due to range of softness, good abrasion resistance and resistance to various chemicals. Polyurethane resins are used in composite applications to make various products like wind turbine on a large scale. The easy processibility, good flow, adhesion, toughness and durability are some of the important properties of polyurethane utilized in the composite applications. Polyurethane products are used in biomedical applications like therapeutics, catheters, surgical implants and prosthetics etc. With the advent of 3D printing this application is evolving to offer various solutions. 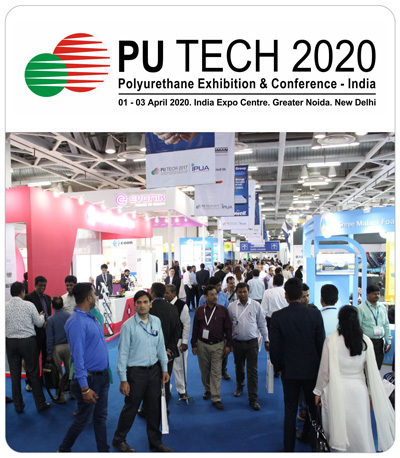 Their biocompatibility, toughness and hemocompatibility make them ideal choice for these applications.Polyurethane encompasses various market segments right from aerospace, mass transportation like rails, buses, automotives, appliances, apparels and fashion, energy, furniture, building and construction, medicals and industrial products.